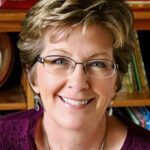 A Visit with Kim Smith–and an OVER THE RIVER & THROUGH THE WOOD Giveaway! 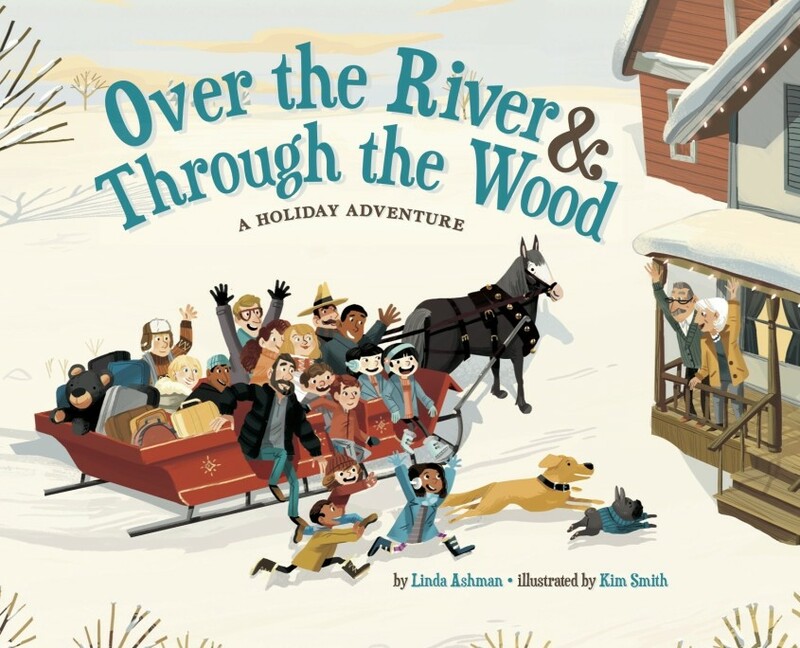 Home Uncategorized A Visit with Kim Smith–and an OVER THE RIVER & THROUGH THE WOOD Giveaway! Three years ago, my Sterling editor, Meredith Mundy, asked me to rewrite the holiday song Over the River and Through the Wood with “plenty of chaos and wackiness” as family members travel to Grandma’s house using various modes of transportation. We agreed that the characters should be a reflection of most families today—geographically scattered and diverse in composition. Well, the book is now here—and, I’m thrilled to say, so is illustrator Kim Smith, all the way from Calgary! I’m also thrilled to share that Publishers Weekly gave it a starred review. We’ll be giving away two signed copies of the book (details below). 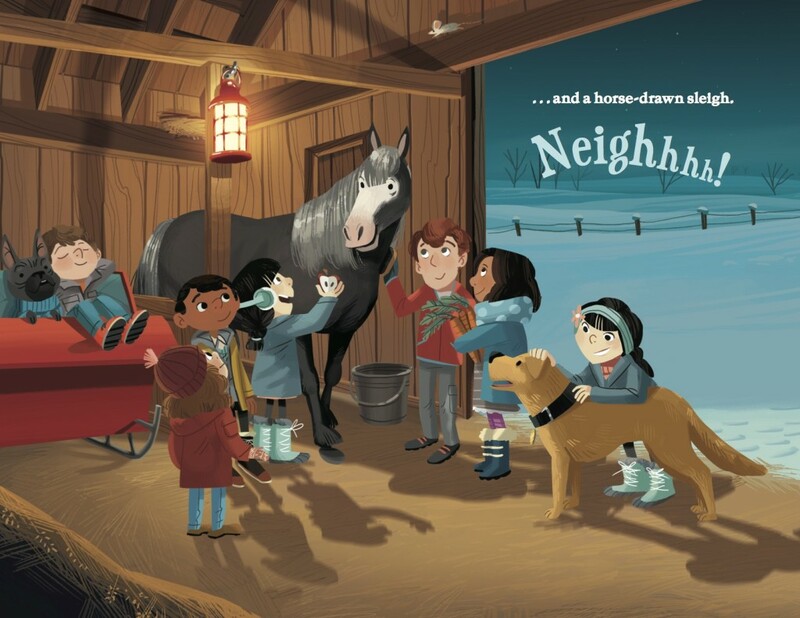 First, let me just say there are a LOT of characters in this book—specifically, eleven adults, eight kids, two dogs, one cat and a horse—plus dozens more in busy scenes at airports and train stations. 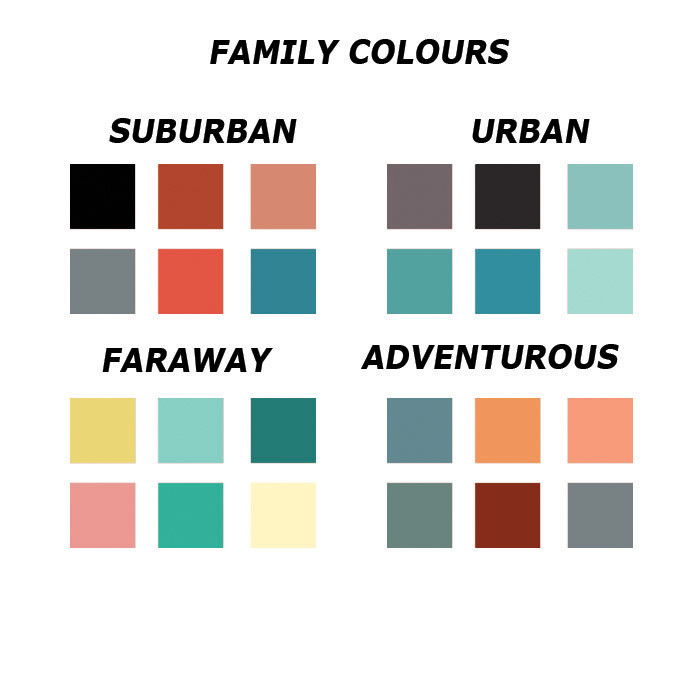 In my manuscript, I used short-hand to refer to each family—Suburban, Urban, Far Away, and Adventurous—and color-coded my stanzas to keep everyone straight (if you’re curious about what this looked like, you can view the manuscript here). Sounds a bit, well, challenging, right? Let’s see what Kim has to say . . .
From there I scan them all in and start arranging the drawings for the pages on a single page. This way I can see how the story flows from page to page and see if there’s any way I can improve it. Once approved these rough compositions get tightened up. This is the part that I add in the fun details. I usually make these drawings digitally so things are easy to change cleanly without a pile of eraser bits on the floor. Upon sketch approval I create a mood board using several different pages to develop the colour of the story. I select pages that have the most varied lighting or settings so it’s easier to get the idea of the overall story. From there I take the colour boards and paint each page up digitally in photoshop. Was it challenging to keep all the characters straight? As soon as I had your handy portrait wall sketch, I made up names for everyone to help me keep track of them throughout the book. Having the details from you about their names and general story was very helpful! I designed the characters by family group to keep them all straight. I also identified which adults were their grandparents’ children to help tie traits from them into a solid family tree. I wanted to make sure each character could be identified and not be confused with another, which was difficult with the many characters in the family. That being said the characters had to look like they were a group and meant to be with each other, so it was another challenge to pull them back together. For the other characters in the backgrounds… I wanted to make sure they were faded back and the kinds of general people you would identify walking past on the street but not give too much notice. Maybe the only exception to this one is the airport scene where I wanted the reader to identify with the unique mix of individuals you see there. In her last post, Jennifer Black Reinhardt confessed that she doesn’t like drawing cars. Do you have any artistic aversions? And, conversely, are there things you could draw all day long? Anything that’s mechanical (cars, trains, boats… etc…) or architectural I find difficult at times. It’s like you have to put on another hat to draw those sorts of things instead of drawing organic forms. Even though they can be difficult at times I really love challenging my skill set. With every bad building or boat drawing I get a little bit better and a little more comfortable drawing those things. On the flip side I could draw raccoons, chickens, and red pandas all day long. I love drawing these little animals doing funny things people would also do. Also, I adore crowd scenes. Any secrets that keep you motivated and on task (music, chocolate, exercise)? Podcasts and Audiobooks keep me on task and working. My particular favorites are This American Life, Radio Lab, Reply All and Planet Money. I am currently finishing the audio book Furiously Happy by Jenny Lawson, which has an amazing cover and the book is great too! I noticed you have another new book out, based on the movie Home Alone. How did that come about? Quirk Books asked me if I was able to illustrate it and I said, of course! 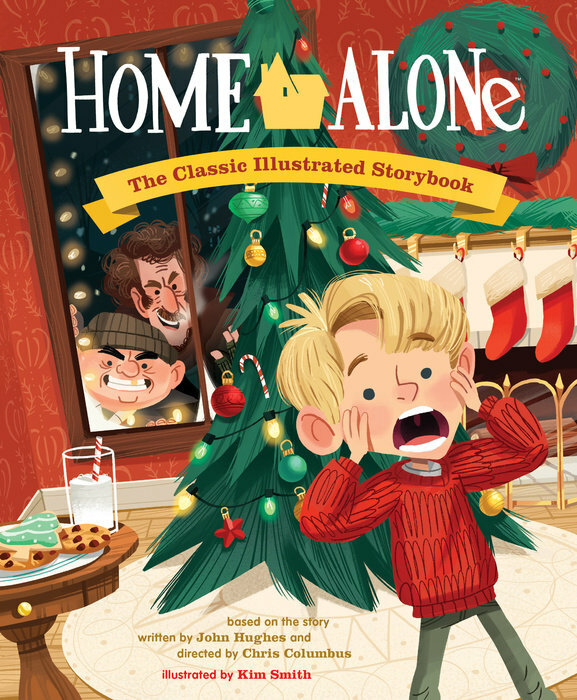 I couldn’t turn down an illustrated book based off of a classic Christmas film from my childhood. It was a lot of fun to work on. THANK YOU so much for stopping by, Kim! Be sure to check out more of Kim’s work at her website. And now it’s time for the . . .
To win one of two signed (by me) copies, just leave a comment below by November 1st. I’ll announce the randomly-selected winners in my November 10th post. book giveaway, Kim Smith, Linda Ashman, Over the River & Through the Wood, song. Bookmark. What a fun post…thanks for sharing! Thanksgiving is the best holiday! What fun! My granddaughter often wants me to sing the stories I’m reading to her. This book would make that so much easier! Awww, that’s very cute. And, yes, this one’s very easy to sing! What great insight to the illustration process. Wow, Linda and Kim, THANKS for this peek behind the scenes. And that airport crowd scene is fantastic. Love those sketches too. Thanks, Jill. I’d seen sketches, of course, but didn’t get to see all the work that preceded them. I loved seeing Kim’s process. This is a really fun post and I learned so much. What a great idea to use different colors in the manuscript to keep the families straight. Thanks for this post and the chance to win. Hi, Rosi! Glad you enjoyed it! Thanks for sharing. Love the song and I’m sure the book would be a great holiday addition to our collection. This book looks like such fun! And a great interview! I really enjoyed this post, and thank you for sharing your drafts Linda! This book looks like a lot of fun for the whole family and the spreads are gorgeous! I loved learning about your process as writer and as illustrator. You’ve added a richness to this traditional song and made it new again. Can’t wait to read and sing this holiday story! Thanks, Lori. It was such a fun project. Great post! This looks like a wonderful book! Thank you for sharing this incredible process! It’s always a treat getting to see the illustrator’s side of the story. Many congratulations to you both! I can’t wait to read/see this rollicking story. I agree, Anne. I love seeing the illustrator’s process. Thank you! Thank you for sharing your creative process with excellent detail, Kim. Linda, I look forward to reading this book, Over the River and Through the Wood, written by you and illustrated by Kim. I must say, both the illustrations and the story intrigue me. Can’t wait to read it! Thanks for the insights on both. Thanksgiving is our family’s favorite holiday. I love this diverse family – very similar to ours! This is going to be read aloud at our Thanksgiving table. Thanks for sharing the creative process behind this very fun book. Wonderful! I love hearing that. Thanks, Claire! 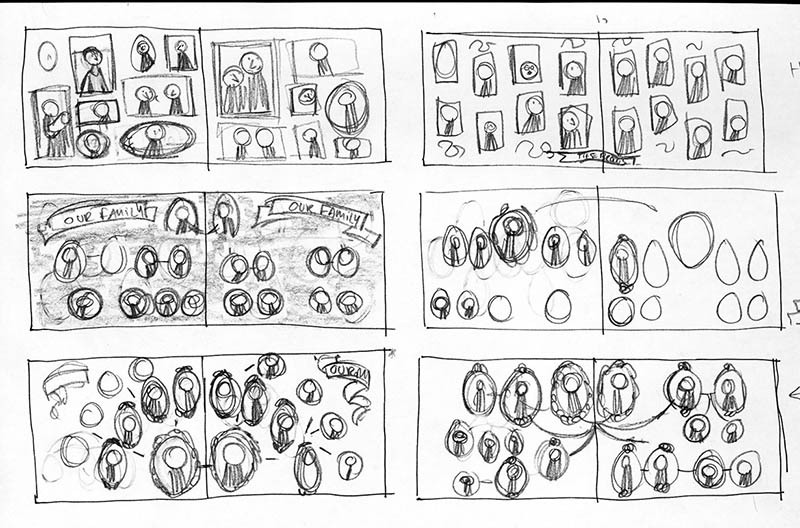 Seeing the thumbnails, the drawings and the color schemes is very helpful to me in trying to figure out how to transition from being an artist to being an illustrator. Thanks, Kim, for sharing this. And thanks, Linda, for sharing how you color coded the manuscript. Thanks, Sheryl. So glad you found it helpful! I loved the nuances in your process. Especially the note-taking throughout and the mood boards. Great whether you create digitally or traditionally. Yes, it’s very interesting, isn’t it? Thanks, Quinette! This book looks wonderful! I love hearing the process of how it all came together. Thanks for sharing the manuscripts. I thought I was the only one who color coded their manuscripts. Well, now we know there are at least two of us, Cindy. But I suspect we’re not the only ones. It can be very helpful! I think the reading and singing of this book is going to become a new holiday family tradition in our home! Yay! I love hearing that. Thanks, Jill. It was cool seeing the behind the scenes process you have when you write books. Amazing. Wow, thank you for sharing, Kim and Linda! As a writer, I always love seeing the illustration process. I look forward to reading OVER THE RIVER & THROUGH THE WOODS, and HOME ALONE! Thanks, Shaelyn. 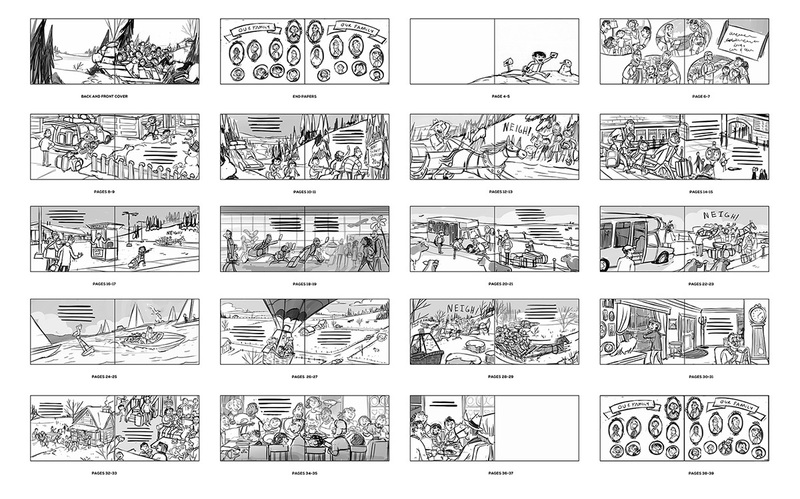 I, too, think the illustration process is fascinating (and wish I had that talent!). Thank you so much for sharing behind the scenes. It is always so fascinating to me (the author) to see what the illustrator processes is like. Beautiful artwork. It’s fascinating to me, too. Thanks, Maria! I admire you, Kim, for tackling transportation vehicles and crowd scenes. That’s a lot of detail. Linda, I’m so glad you accepted the publisher’s challenge to rewrite this for modern day. Love the diversity and holiday fun! I’m enjoying my signed copy, bought at SCBWI-C conference. Please enter my name in the drawing. I would love to be able to give a copy to my sister who teaches music in the public schools. Thanks so much, Linda. And you’re officially entered. So great to finally meet you at the conference! Good gravy, I love this post! I enjoyed the sneak preview you gave us at SCBWI conference. The concept of diversity is excellent. Bertha! So happy to see you here. Thanks for coming by! Looks like so much fun! I’ve added to my reading list! Contemporary images look beautiful. The detail looks fantastic! This is definitely being added to my reading list. Great to hear that. Thanks, Pam! 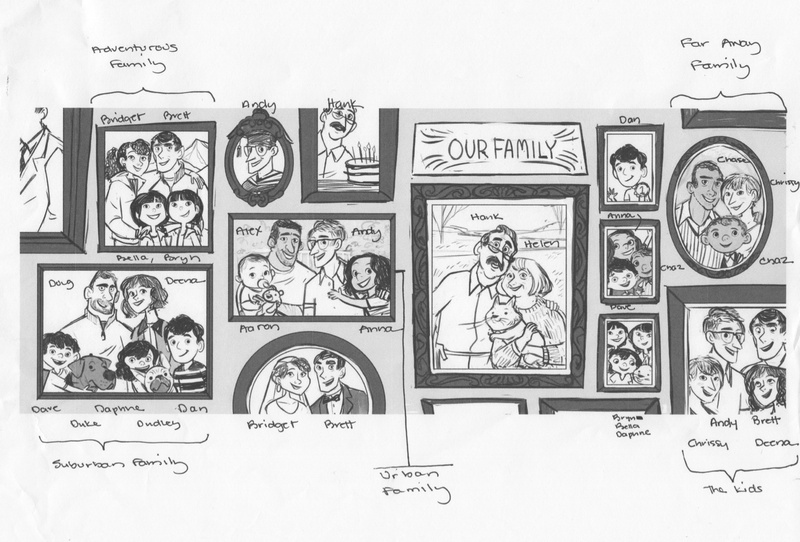 I loved looking at the process you went through to get all the characters unique yet representing the family ties. Glad to see many types of family, too. 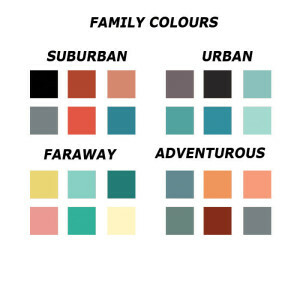 I’m curious to get the book and see how the colors for each family look. What a fun book! Yes, Kim clearly put a lot of thought into it, and made it really fun to follow each family. Thanks, Mary! Yes, it’s very fun to read–or sing–aloud! Thanks, Judiith! I love learning about the process and seeing the doodles! Seeing how an illustrator interprets a writer’s text is always fascinating. The book looks great, ladies. If our local library doesn’t have a copy yet, I will have to put in a request. Thanks, LeeAnn. I appreciate that! I love reading other writers and illustrators processes they go through during the writing/illustrating of their books. It makes me realize that I’m not alone with all the work I do. Thanks so very much for this fabulous post. I hope I win. I know I’m too late but I just found you. I really enjoyed looking at how you develop ideas, Kim. I write children’s books and can’t draw so you have my admiration for all you do so well.